and all of the MLD progress this year! Teryn and I are so thankful for the wonderful people we meet as we both live with MLD (Lindy turned 38 this year!) and support families with MLD. We’ve met dozens of new families this year, many in person, as we answer questions and provide guidance on therapies and clinical care. We’ve followed the journey with other families who lost their loved ones this year –while sad, it’s a great time of sharing and support. And, we are working with an even better and bigger team of researchers and biotech/pharma partners to get therapies to market! We are working with yet another drug company on a MLD therapy … and one therapy might see a FDA registration next year! If your inbox is anything like mine, it’s full of requests for support. Nevertheless, we want to gently remind you that we need your support too! .. and we want to make it easier than ever, too. Amazon Smile donations are FREE to YOU and are now easier than ever! In the past, we have asked you to bookmark and start your shopping at https://Smile.Amazon.com every time you shop at Amazon. When you start there Amazon donates 0.5% of the value of your order to MLD Foundation at no cost to you. While this still works, it turns out that most folks forget to start at the Smile page. Now we have a couple of browser extensions you can load and they will automatically make sure we get credit for your order every time. Simply load them once and shop! Of course, a regular donation is always appreciated. YOUR generous help makes our work possible. 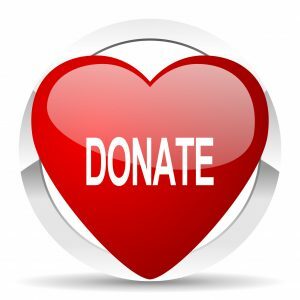 All of your donation goes to advance our We C.A.R.E.™ mission … no salaries are paid at MLD Foundation. Please note that we are working to make this process automated and IOS compatible. Right now it works only on laptops and desktops. Choose the KeepOnSmiling.safariextension folder inside the folder you just downloaded using the provided link (inside your Downloads folder).